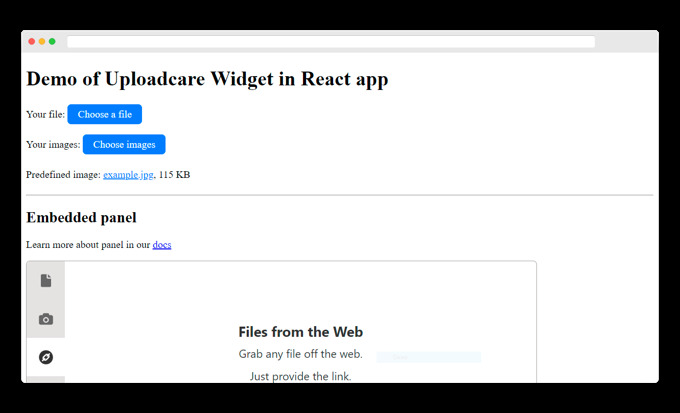 You can either check out the source code of our demo or follow this guide to build your React app with Uploadcare integration from scratch in about 14 minutes. We will create a new React app in the first step. So, If you’re planning to stick with an existing project, head straight to the second step. You’ll need a working NodeJS installation, check out the NodeJS website for install guides. Usually React supports most of the NodeJS versions released over the past few years. You can always check out the latest requirements in their docs. Uploadcare account is free and gives access to serverless file uploads, transformations, CDN delivery, and APIs. You land on the Dashboard where you manage projects. Those are separate environments that hold your files and settings. Projects are identified by their public keys. For instance, you can use one project as a target for general-purpose uploads and another for implementing extra security features. In case you don’t have an Uploadcare account, Sign Up for one. Once you get it, navigate to your Dashboard to create a new Project or discover the Public API Key for an existing one. If you’re planning to receive non-image uploads in your app, add billing info to your account settings. And you’re done with React installation! Now let’s integrate File Uploader. Next, we will create a new component and use it in the layout. Go to the /src directory and create a subdir named components. 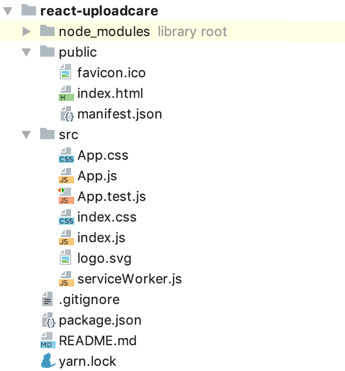 Put the Uploader.js file there; it should include the same contents as our demo app. The File Uploader is highly customizable through widget options, check those out in our docs. Check out our docs to learn more about the Uploadcare Platform, implementing In-Browser Image Editing, and other Libraries and Integrations options.